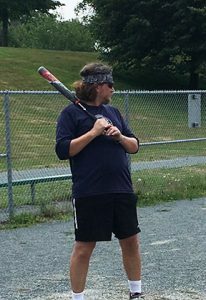 Six members of the Dal Libraries staff are on a lunchtime league baseball team called The Foul Ballers. Staff from ITS round out the team. This week, The Foul Ballers were in the final for the Challenge Cup, beating out 14 other Dal lunchtime league teams to qualify. 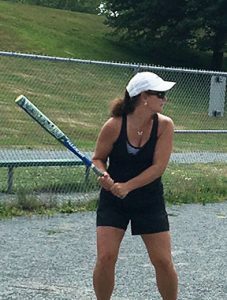 Mike Duggan, Kellie Hawley, Michelle McDonald, and Charles Tourneur braved the soaring temperatures and high humidity of one of the hottest days of the year to face DALplex. 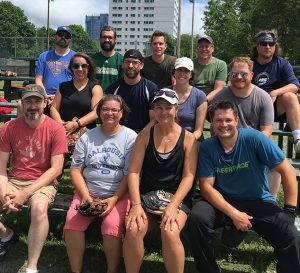 In addition to the four staff members who played in the final, two people from the Dal Libraries could not make the game that day: Creighton Barrett and Nellie Clyke. 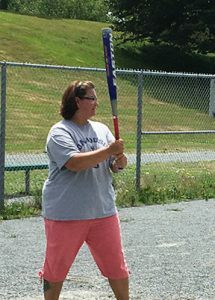 Creighton’s wife Nadine also plays on the team. 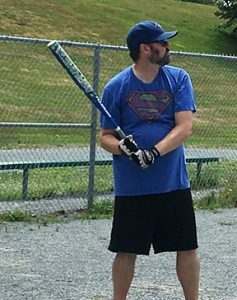 Despite their best efforts, the Foul Ballers were not successful in winning the cup this year. But we applaud their athleticism! Way to go, Foul Ballers.